Over the past 2 weeks, I’ve been getting messages from family, friends, and faithful followers to let me know that their Uncover Ostomy tshirts have arrived in the mail. 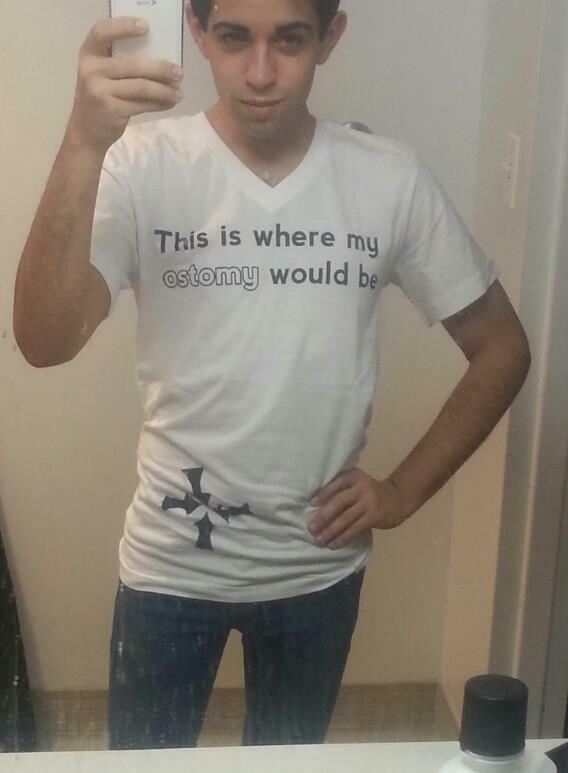 Along with the messages letting me know that the shirts have arrived, many of these people immediately began to spread their ostomy pride by posting photos of them wearing the shirts to their Facebook walls, tweeting them on their Twitter accounts, sharing them through Instagram, and more. Now it’s time for you to follow their lead. For all of those who purchased an Uncover Ostomy tshirt, (or even those who did not, you’ll just have to get creative…) get ready for the “Where’s Your Ostomy” Contest! The purpose of the contest is to spread ostomy awareness all over the internet. We want to get your friends, family, coworkers, acquaintances, strangers, and stalkers to all know what the word “ostomy” means – both literally and figuratively. The winner of the contest will not only have their story and photo featured on the blog, but will have their photo used as the UO Facebook Page profile picture for 2 weeks! Cool, right? 1. 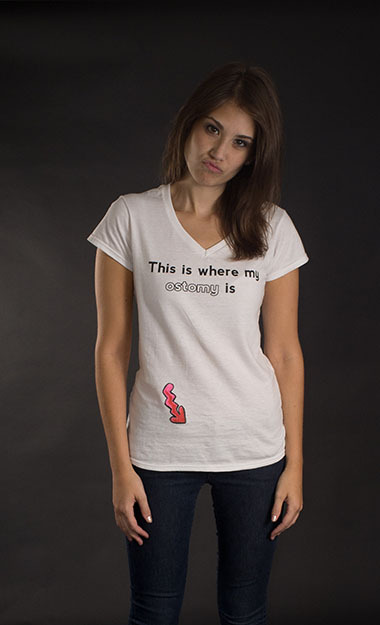 Show where your ostomy is or would be by drawing on your tshirt. The more creative the design, the better your chances of winning. 2. Wear the shirt and take a picture! Location is important here: the crazier the spot and the more people around, the better! 3. Post the picture to all of your social networks! 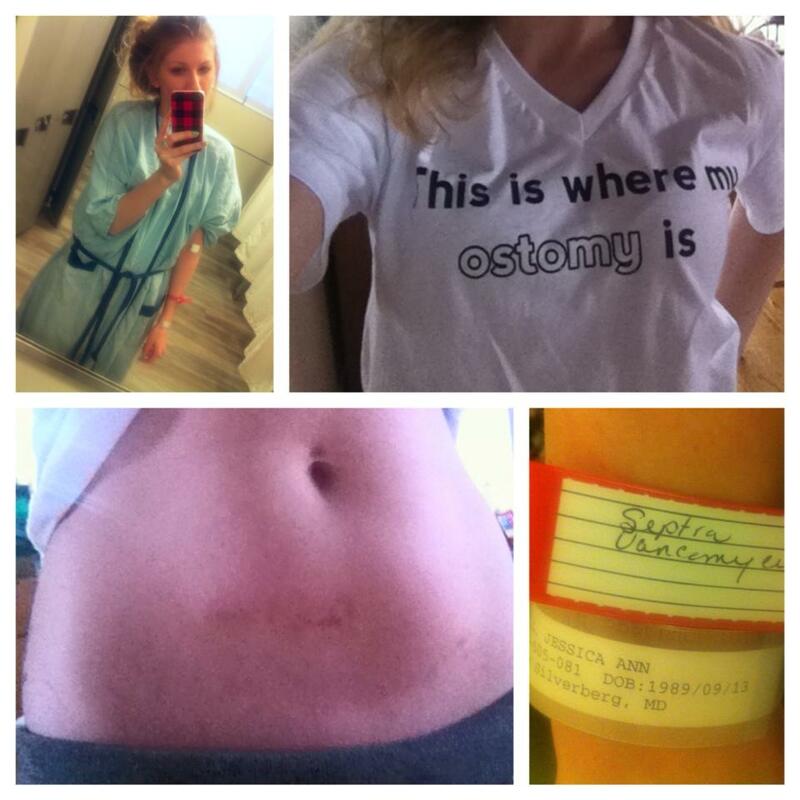 On Facebook: Post the picture to your wall and tag Uncover Ostomy by typing “@Uncover Ostomy” in the description. On Tumblr: Post the picture, refer to this website, and paste the link on the UO FB page or in a comment below. On your personal blog: Post the picture, refer to this website, and paste the link on the UO FB page or in a comment below. On YouTube: Film a video, refer to this website, and share the link on the UO FB page or in a comment below. 4. Encourage your friends to like, share, comment, and retweet your post! We will be running this contest for 2 weeks starting today, March 19 until April 2nd! The person who has the most creative tshirt design, who takes the coolest photo, and who cultivates the most engagement on their post wins! PS; If you’re having any issues with your tshirt order, please contact Teespring here. Thanks!